I do like books, I do! Today I’m giving you a few titles to check out if you want to. I know we all have our own personal preference of genre so if this doesn’t fit your reading forte then that’s OK! 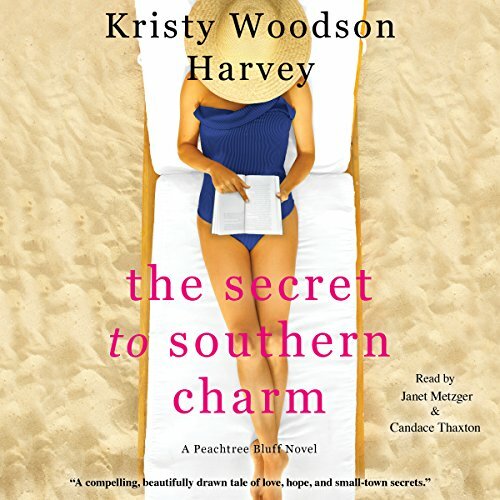 I had never heard of Kristy Woodson Harvey before so when she popped up on Audible and had some high regards as a new southern author I was like – OK sister let’s see what ya got! 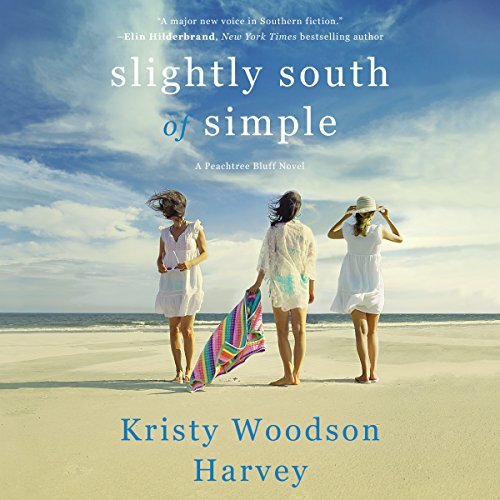 Slightly South of Simple is book one in the Peachtree Bluff series. This books is a pretty good beach read/summer read. It is set in 2017 and talks about a mother and her three grown daughters. To give you a bit of the plot: the three sisters come home to Peachtree Bluff to spend time with their mother. One daughter is very pregnant and her husband has left her, another is shooting a film in Georgia, and the third is in to visit with her two boys while her husband is deployed. The book made me giggle and tear up. I’m bad at giving away the entire story so I will suggest this if you like southern melodrama. The Secret To Southern Charm is the second book in the series. It picks up right where book one leaves off and it does a very good job at tying up loose ends. I kind of enjoyed this book more than the first one because I knew the characters so well. If you are an Audible user, like myself, then I suggest you listen to these books. I can say that Janet Metzger who reads the chapters from the mother’s point of view are pure perfection. She has the best southern accent (Dixie Carter-esque) and I know an accent. The daughters parts in each book drove me a little insane. Just saying. There you have it – a set of books for your reading pleasure. Nicwe book review. I enjoyed reading this a lot even though I am not a massive text or book fan. Thanks for sharing. She had some high regards so I tried her stuff and liked it! I’m always up for new Southern authors! I’ll have to try and get one of her books from the library! This sounds like it would be a really great light summer read! I will have to check out the first book in the series — thank you for sharing your review! No problem! It’s always nice to find a “new” author! I love finding a new author and even better, a new series. TRUTH! It makes reading so much easier, right?